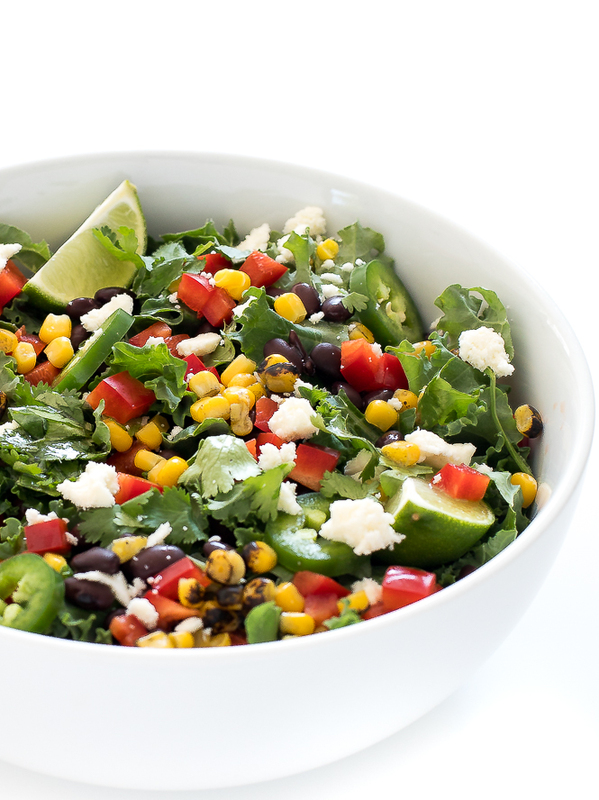 Mexican Kale Salad with a Cilantro Lime Vinaigrette. Loaded with black beans, corn and red bell pepper! 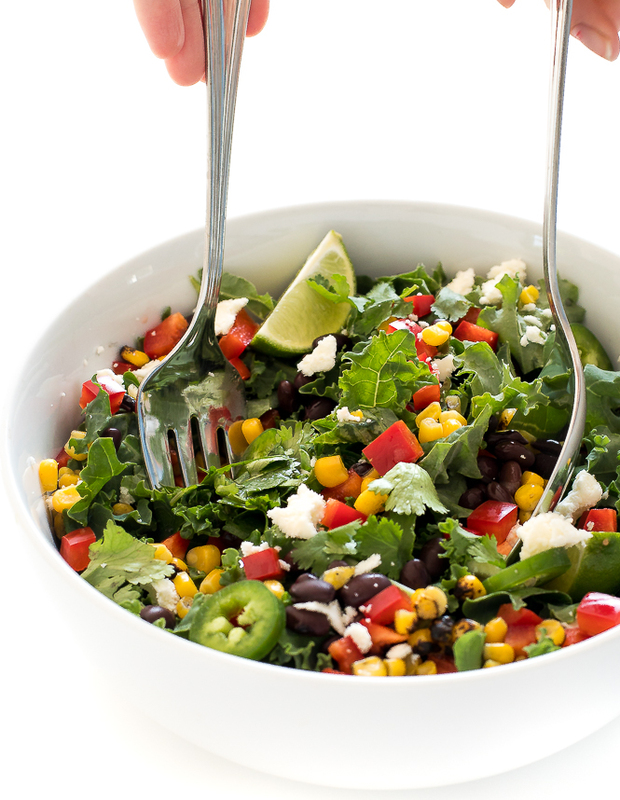 This Mexican Kale is the perfect lunch of Summer dinner. It’s loaded with fresh veggies and comes together in minutes! I made this chopped kale salad without meat however you could always serve this with chicken, steak or fish. I like to grill my corn or saute it before putting it on the salad. It adds so much more flavor! 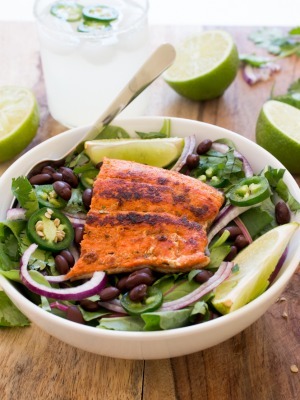 For the dressing I use fresh squeezed lime juice, honey olive oil, cilantro and garlic. 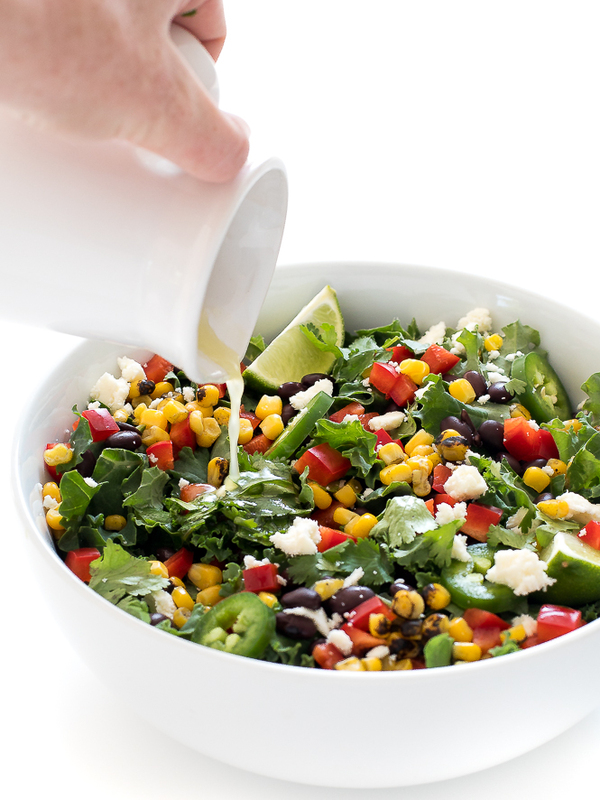 It’s light and refreshing and the perfect compliment to this salad! Prep the kale by washing and drying. Top the salad with the rest of the ingredients. 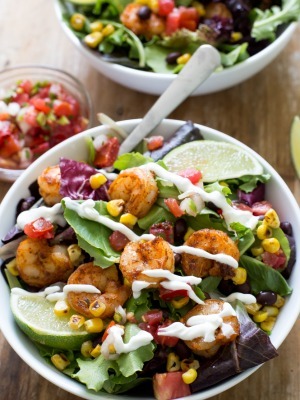 Serve immediately with a drizzle of the cilantro lime vinaigrette. Whisk all of the ingredients together in a small bowl. Season with salt and pepper to taste.